Calling all mystery lovers! If you are one of those wonderful readers that likes to take a chance on Teen Fiction, then I’ve got a great book for you. 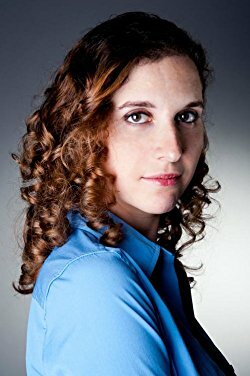 I recently read the book Secret Letters by Leah Scheier (Hyperion/Disney 2012), and became enthralled with this series. As a devoted follower of the website Goodreads, which provides book suggestions for literature lovers such as myself, I was pleasantly surprised by this recent recommendation, which falls under the category of Teen Fiction – Mystery. What caught my eye in the synopsis was the mention of that legendary figure of literature and mystery, Sherlock Holmes. After discovering that the heroine of the book, Dora Joyce, was written as a Victorian Nancy Drew with an unusual connection to the famed detective, I was hooked and had to read on. We learn that Dora Joyce, an orphaned teenager of intelligent mind and distinctive detecting skills, has left the small town she calls home and accompanied her older cousin Adelaide to the big bad city of London. Dora is thrilled at the chance to leave the small town (and her strict aunt) behind and help her cousin track down the famed detective Sherlock Holmes to ask for his help in a private manner. She has her own reasons for wanting to find the great detective, although we are not made aware of her true reasons until the end of the book. Dora is shocked and dismayed to learn that Sherlock Holmes has recently been killed by Professor Moriarty at Reichenbach Falls in Switzerland (a nice nod to Sir Arthur Conan Doyle’s end for the detective). It is by chance that she runs into (literally) a former colleague (that term used loosely) of Mr. Holmes, a young man named Peter Cartwright. Cartwright is a former Baker Street Irregular-turned-detective who also mourns the loss of Sherlock Holmes. He is decidedly intrigued by this young woman with keen eyes and a penchant for putting her nose where it doesn’t belong. Although the death of Sherlock Holmes has thrown Dora for a loop, she is still embroiled in the controversy that led her to London in the first place – cousin Adelaide’s stolen love letters. Knowing that these stolen love letters could mean social ruin for Adelaide, Dora makes it her mission to track down the thief and prove herself as an up-and-coming detective. She forms an alliance (albeit a reluctant one) with Peter Cartwright in order to crack the case quickly and help her cousin. As one can imagine, trouble and hilarity ensue. When I began reading this book, I honestly wasn’t sure whether or not I would even finish it. The Dora we are introduced to in the first few chapters spends more time ruminating on what she should be doing than actually going out and doing anything. However, it was the potential of who her character could become that kept me going. I’m glad I made the choice to continue. The character of Dora comes into her own the deeper you get into the book, and I was pleasantly surprised to discover a sense of humor to the character that had initially been lacking. During the novel I kept thinking that Dora’s arrogance, which is somewhat reminiscent of the great detective himself, would overshadow her actions in cracking the case. Many times in “cozier” mysteries the female protagonist experiences stumbling block after stumbling block that eventually leads to an accidental discovery of great importance. In those types of mysteries, it’s not so much about the skills of the (generally female) detective, instead it is about sheer dumb luck and the author’s will to pull it all together. What I loved about this book is that Dora was never dumbed down, and her arrogance (although obnoxious in some cases) was never used in a way to highlight the folly of that sin. The character of Dora was allowed to be both arrogant AND right, which was refreshing. 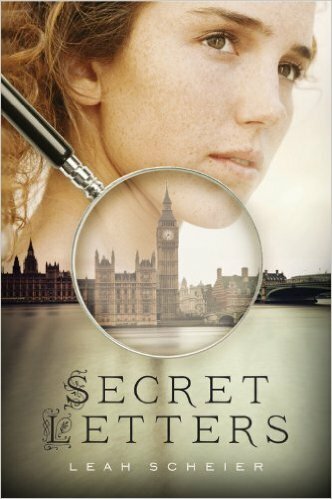 If you are like me and you get nostalgic for the old days of Nancy Drew mysteries and a more innocent understanding of Sherlock Holmes, you will love the book Secret Letters. If you still aren’t sold, despite this endorsement, think about recommending it for a teenager in your life. The world needs more unconventional characters like Dora and Peter, and it may introduce a new appreciation for the classic literary figure of Sherlock Holmes. To all my readers, please stay tuned for a new book review coming your way! I have recently focused on mystery books in these reviews, but I want to shake it up for the next installment by choosing a book outside of that genre.